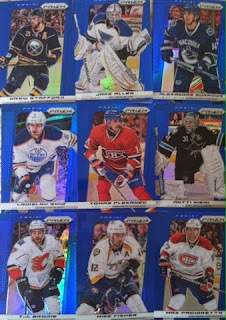 If you remember my post a few weeks back, you will remember that I got some 90's packs in a trade on Twitter. Well, now it's time to reveal the goods from one of them! The other breaks will soon be coming, but I am starting with this one first. 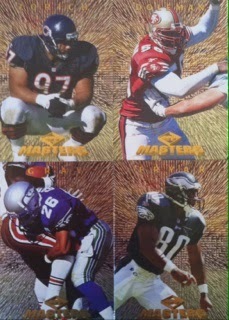 In every pack of 1997 Edge Masters football, there are 6 cards per pack and most packs can be found for under $3. 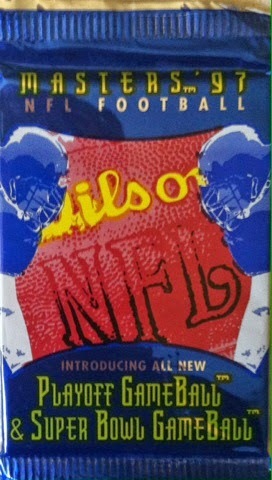 There are chances at Playoff and Super Bowl GameBall cards. 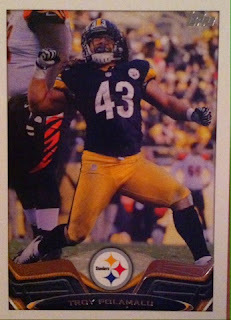 The base cards have a light foil with an "exploding fireworks" design in the back. Makes for a fun design if you are into futuristic looks.My biggest nitpick on the design is the players last name across the top. It gets lost in the explosion. A different color may have helped bring those out better. 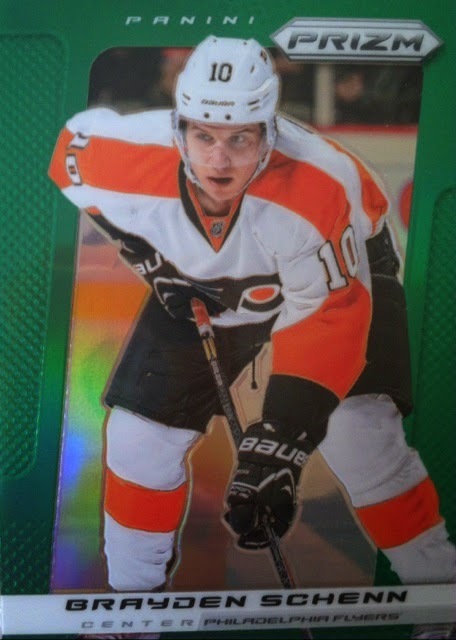 Here was my best player pull of the pack and you can see a better up-close pic of the name and what I was saying about it getting lost. I also landed a PC card. I always liked watching Calloway play. I can only imagine how much better his career could have gone if he had Eli for his QB. 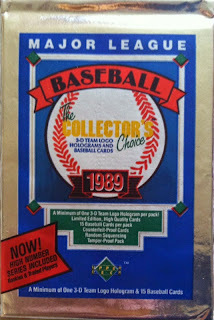 Overall, the Sanders and Calloway were good finds in this pack and to me if I had bought it, would have been worth it. This blog has some of the greatest readers around. Some are not only daily returnees, but some RT, Share and respond to most posts on here and I appreciate every second of it. But some even go the extra mile and help support my blogging and hobby addiction by mailing me stuff. Reader @Puremadness62 (Richard) recently did just that. Richard knows my returning love of collecting Ken Griffey Jr and sent two of these along. It's a new addition and helps add to my number that has grown a lot over the last few weeks. 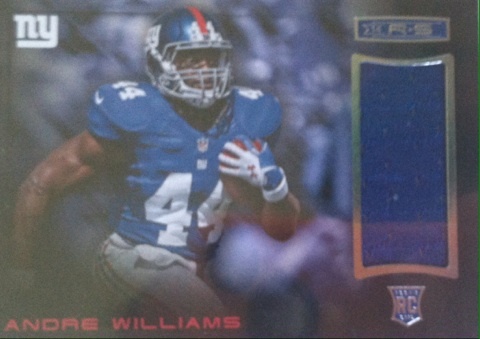 Up next, he also sent this Andre Williams jersey card. I already have this one so it's not a new one for the PC, but it's an upgrade over the bad cornered one I have. And the final card in this mail day, a 2013 Playbook autograph of Damontre Moore. I am hoping Moore steps up this year. They are gonna need him. Thanks again goes out to Richard for the mail day! 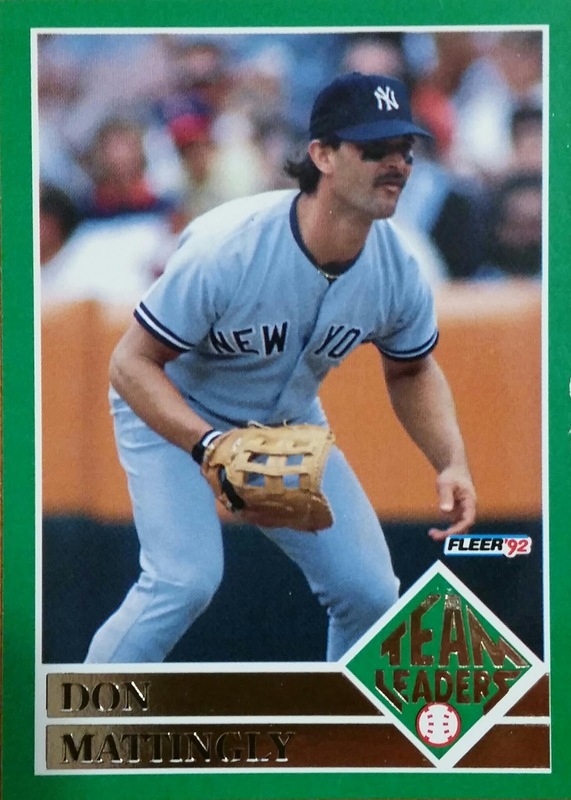 Every time I think about ICONIC products in my era of collecting, one that keeps popping up is 1989 Upper Deck. The product that put Upper Deck on the map and one that kicked off what would turn out to be an amazing company that put out some pretty amazing products over it's 26 years. 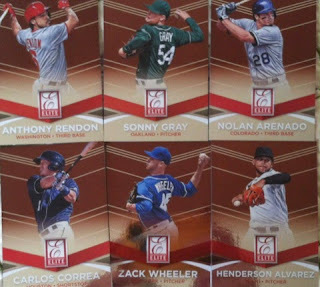 Upper Deck may not be the powerhouse they once were, all because of licensing and other companies know that, but they are still putting out their A-Game with every release. 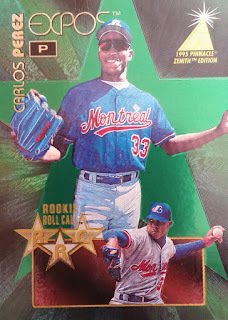 Personally, I like to go back and bust older Upper Deck product to remember what once was and hopefully will be again someday. So let's go do that. Let's remember what Upper Deck put out for baseball. Some incredible stuff. Let's get rip my final break from my Graded Greats box. 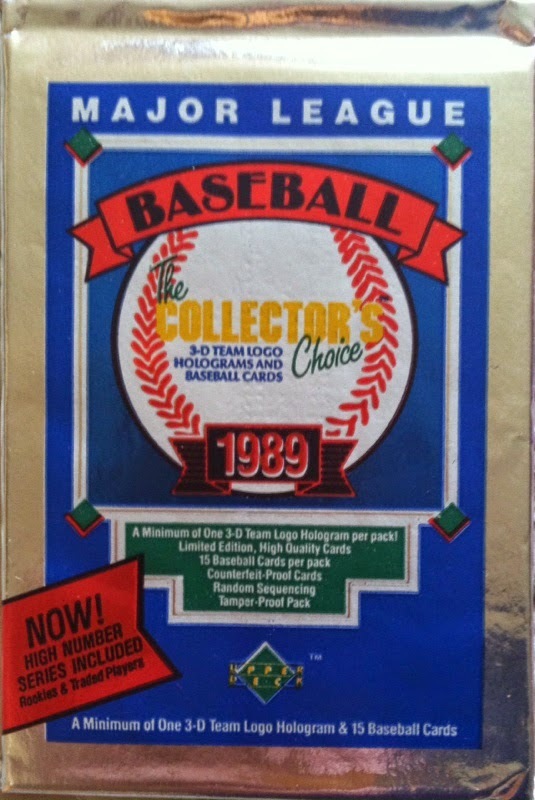 Bring on the 1989 Upper Deck baseball pack! 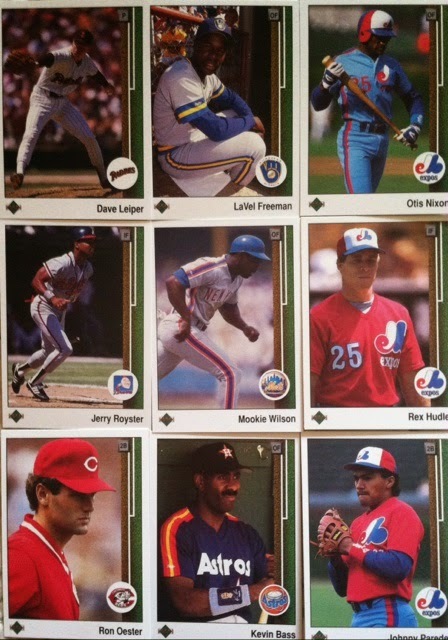 In every pack of 1989 Upper Deck, there are 15 cards and at least one hologram. 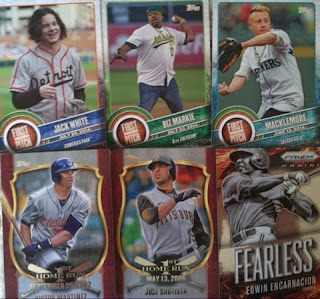 Packs now can be found for a bargain at under $3. You can find rookie cards of Gary Sheffield, Randy Johnson, Craig Biggio and what I consider to be the most iconic card in Upper Deck history, the Ken Griffey Jr. rookie card. If you don't own one of those, you need to make that a center point of your collection. Everyone needs one. The design, if you hadn't seen it, was a bit different compared to the newer Upper Deck products. Newer ones provide us with wide open photography, these have a border. But, a fun border. On the right hand side the border consists of outfield grass and infield dirt. Or that's the way I see it. Team logo runs on the side as well. The photography is like most UD photography, fun. Most products in that era featured "player only" photography, but as always Upper Deck thought outside the box and used game shots. 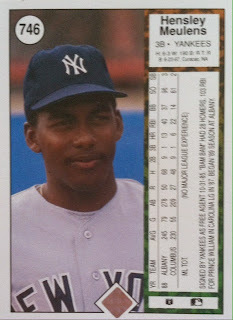 This particular card is for my Yankees PC. Here is what the back of the card looks like. 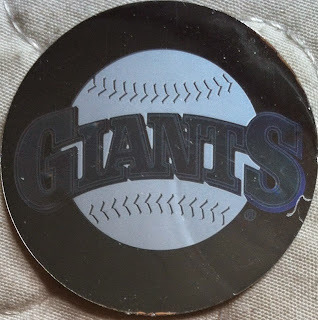 It comes with Upper Deck's "Seal Of Approval" as I call it with the "counterfeit proof" hologram. I saved this card for last, it was my favorite from the pack. Kirby was an amazing player to watch and I really like the photograph on this card. It truly captures the games strategy. And my hologram, well two holograms, are both from the SF Giants. Gotta love holograms. 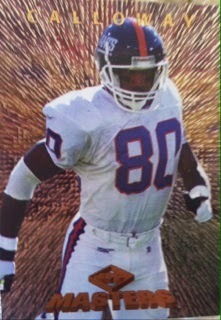 What are your guys thoughts on 1989 Upper Deck? Where do you rank it amongst iconic brands/products? 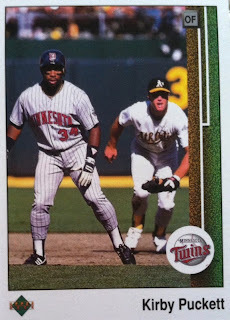 Do you own a '89 UD Griffey rookie? Let's hear that and other thoughts you may have! A Very Grady Mail Day Part 4 0f 4: SHINY STUFF!!! I think the title says it all....OOOOOOOOOOOOOOOOOHHHHHHHH SHINY STUFF! There is just something about shiny stuff in this hobby that attracts me like a moth to a light bulb. It has been that way for years. It doesn't matter the player, team, sport or product. Shiny stuff just straight up rules in my collection. A lot of the time I would take shiny stuff over hits. 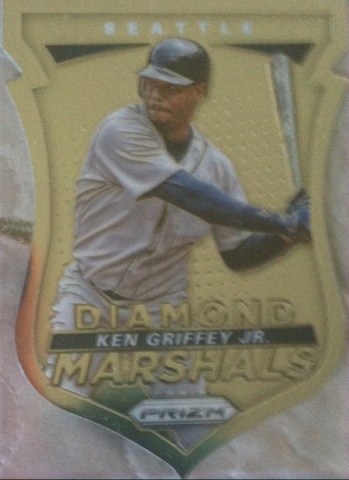 The only exception to that rule is if the hit is also shiny stuff. Oooooooo. Now that I have shown my love for shiny stuff, it's time to show off the final part of my mail day. I hadn't seen any of these up close yet. Pretty cool. 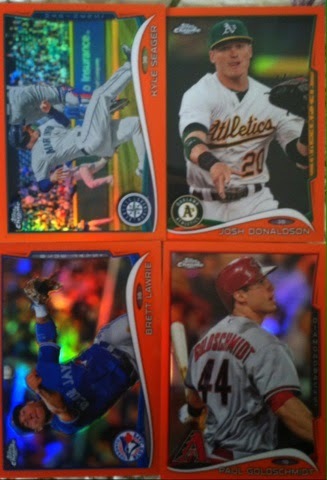 My pictures don't showcase the rainbow refractor goodness these present. 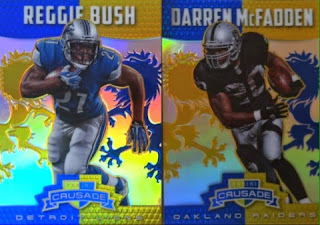 I love Crusade inserts. 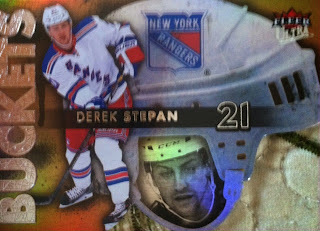 I wished Panini would release this as a straight up product. Bowman Platinum is one of my favorite releases. 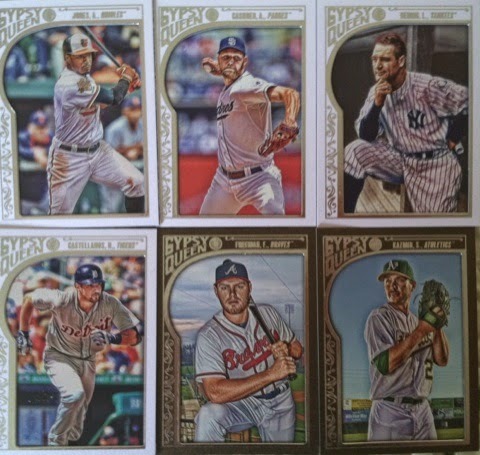 Topps Chrome is the main fault for my shiny addiction. It got me hooked in 1996. The Bowman flashback inserts with the sparkle look incredible. 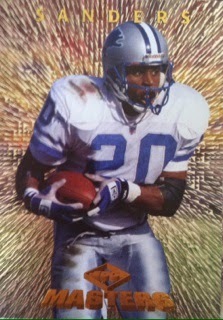 And who can forget Prizm? 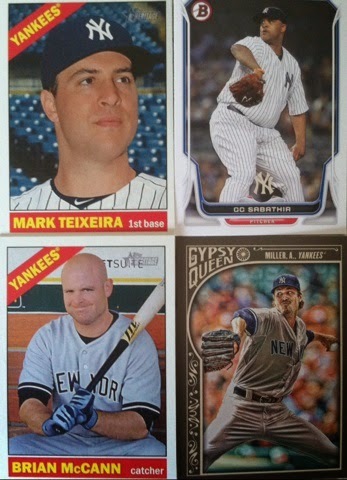 Some great Camo inserts here with two for the Yankees PC with CC and the Grandyman. Basketball Prizm parallels. 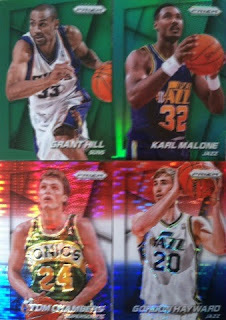 The Green Karl Malone is pretty sweet. I enjoyed watching the "Mailman" deliver in the 90's. To finish up this mail day, some Prizm hockey green and blue Prizms or as I call them, refractors. 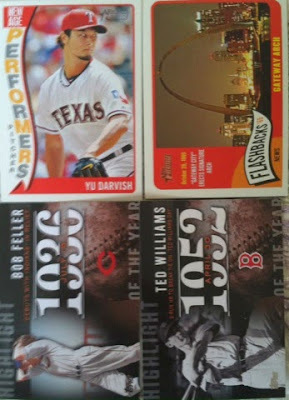 Overall, another top notch Grady mail day. A big thanks goes out to Grady for this mail day as I really enjoyed digging through what I consider is a treasure box. I hope you enjoyed the one I mailed you as well. I have begun saving stuff out for you again and hopefully in the next month or so can have another ready for ya! There was definitely plenty to collect in this mail day. 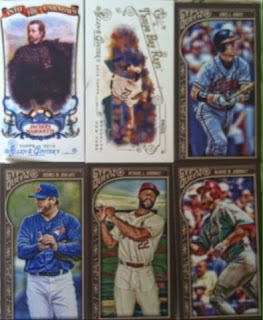 It was loaded with everything from Topps to Heritage to Gypsy Queen to Donruss and more. All of the inserts were right up my alley. 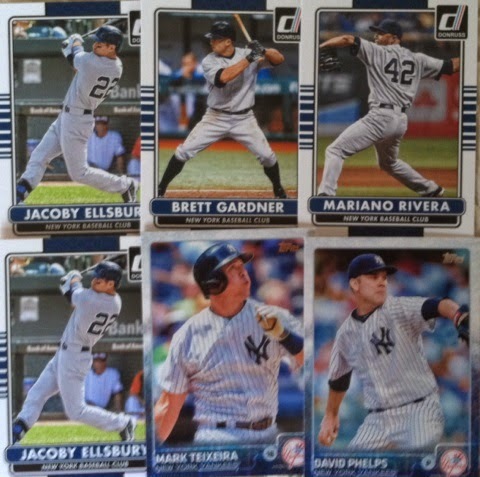 Now I know I showed off Yanks yesterday in the mail day, but I also saved a few for today's and tomorrows. One of them is this sweet Roger Maris. I really like the First Pitch cards. Might be one of Topps more creative inserts for their flagship product in awhile. It may also be a set that I might try to complete. 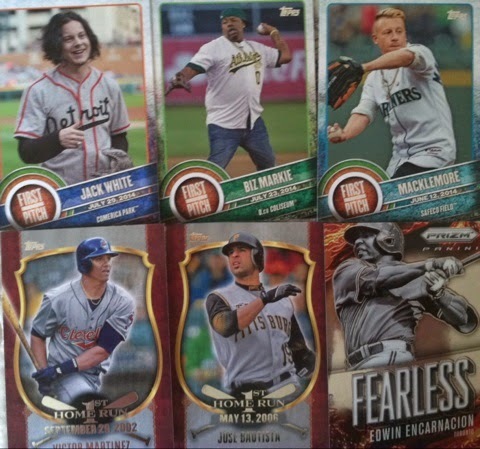 Donruss inserts. Well, I consider the Donruss '81 inserts as they fall at a tougher rate in the base set. Same goes for Diamond Kings. I love that Panini brought back the Preferred line as an insert. Possibly something we see in the future as a product. Will have to see. Some big names Grady sent along. To close out the baseball insert portion of this mail day, gotta show off some Gypsy Queen finds. First up, framed inserts. 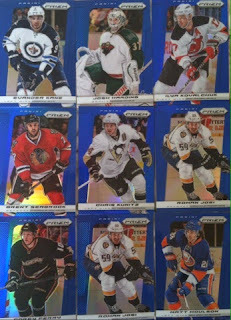 And even more Mini's including a #'d to 99 on the bottom. 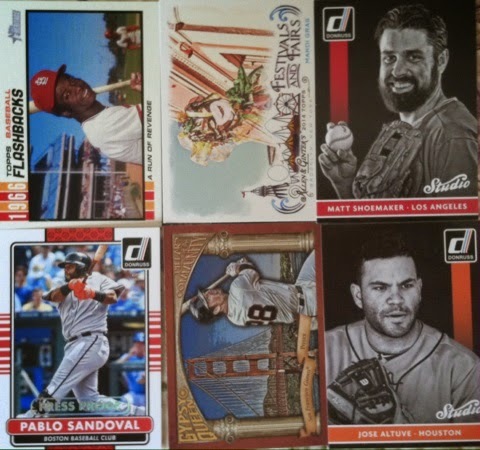 There are just some iconic baseball brands out there that you have to pick up on a yearly basis for your collection. 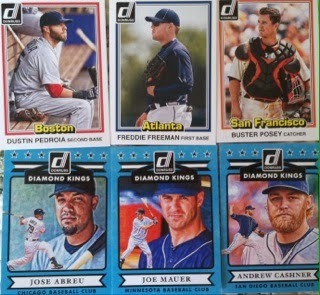 In my opinion, Donruss is one of them. 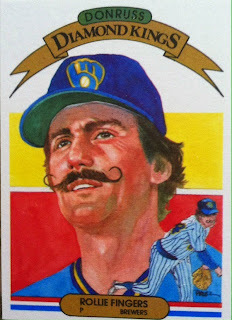 Even though Donruss baseball today is a far cry from its predecessors of yesterday. 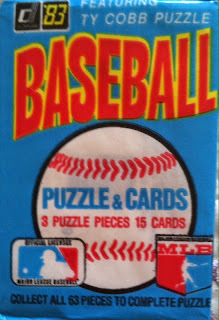 In my third break from my Graded Greats packs, today I am busting a 1983 Donruss baseball pack. 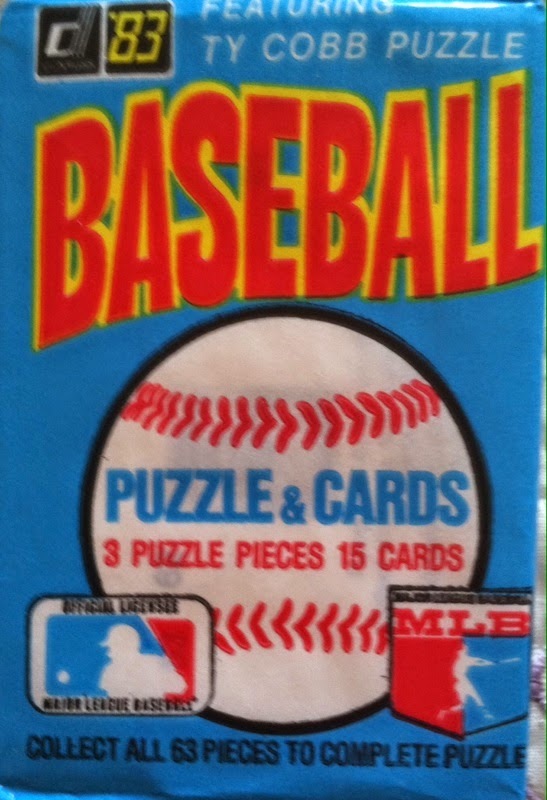 In every pack of 1983 Donruss baseball there are 15 cards and 3 puzzle pieces. Each pack now roughly goes for $5 now-a-days. Key rookies to find in the packs and some that I hoped to find are Wade Boggs, Ryne Sandberg, and Tony Gwynn to name a few. One of the key things always in Donruss products in the 80's and early 90's was puzzle pieces. If you are like me you either A. have a huge stack of them in your house or B. have put a couple of the puzzles together and glued them to hang. Either way, was kind of a unique draw-in. 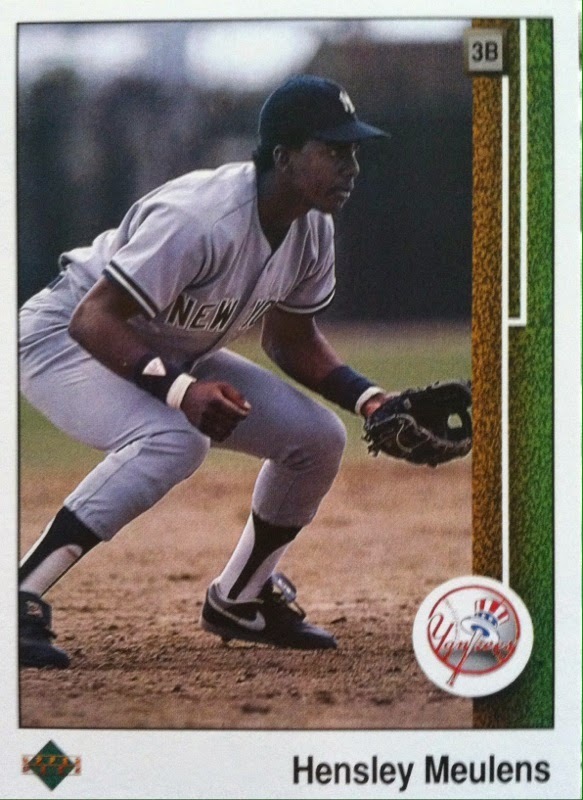 The base cards for Donruss were simple. A white border with a yellow bat for a name plate and a glove for team name placed at the bottom of the card. 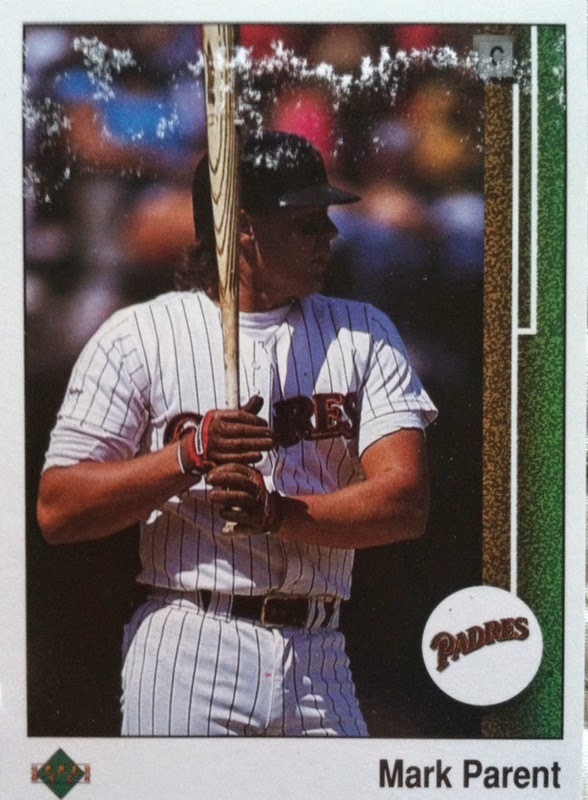 The photographs like most on baseball cards in that era are more of the up-close pictures then of action shots leading to what can be some fun captioning. 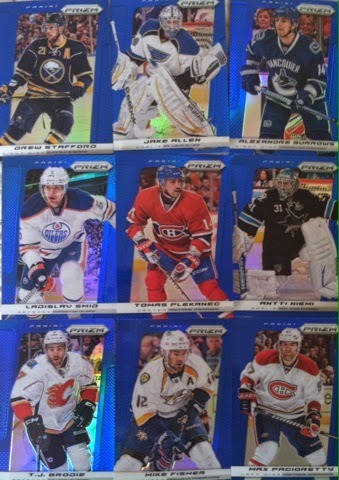 I didn't pull any of the key rookies, but I at least landed a few good players. 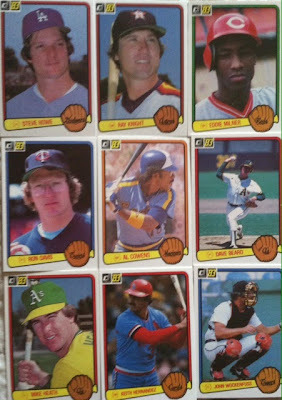 Two of them are featured here in Lee Smith and Jim Palmer. I grouped these two together not only because they are new additions to my Yankees PC, but because both would make a great caption this card. Especially the Rich Gossage. Would love to hear some captions for that one from you guys!!! (Mine would be "man, I shouldn't have gone out last night". 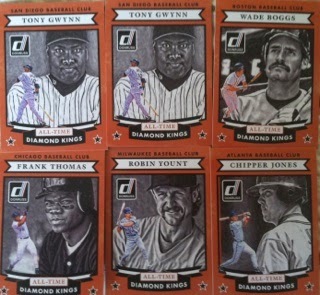 And one of my favorite cards from the pack and an iconic name in all Donruss products, the amazing Diamond Kings. You gotta appreciate the stache too. Overall, I liked the break. 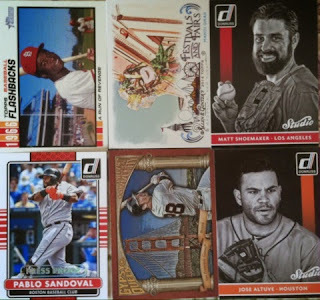 I was really hoping for some of the rookies especially a Sandberg since I still lack his, but I got a few decent cards which made me happy. 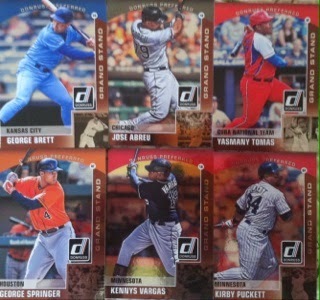 Are you a fan of Donruss? Do you like today's version of it? What do you like most about the product? Did you collect the 1983 version? I wanna hear it all! This part of the mail day has some possible champs and some obvious chumps along with a few other cards as well. But no matter which side they fall on, they are still my PC material. 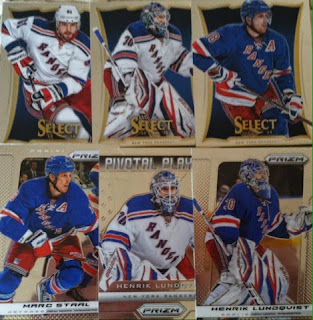 Up first are the NY Rangers. The other team I bleed blue for. Absolutely love this die cut card. Upper Deck nailed the Fleer Ultra product. 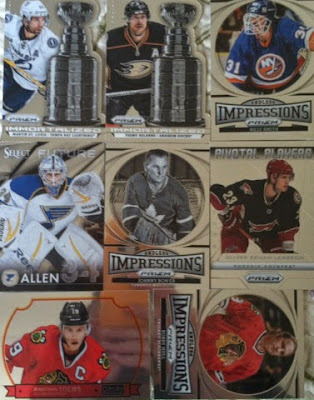 Some inserts including some big names and die cuts. Now onto some more cards of possible champs. The Yanks have way outplayed my expectations. That bullpen has been amazing so far. 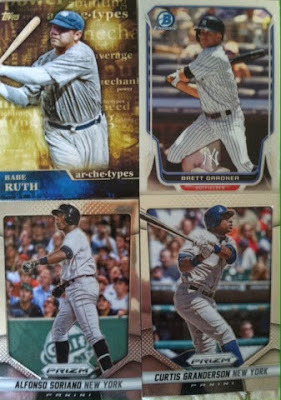 Babe Ruth insert and a Prizm card of one of my favorite all-time recent Yanks, Alfonso Soriano. My first Miller card in a Yanks uni. Glad he was named the closer after his tremendous start. 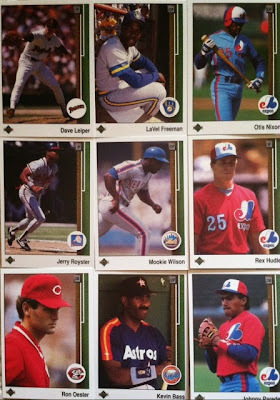 Some SWEET old time Yank inserts from the 80's. 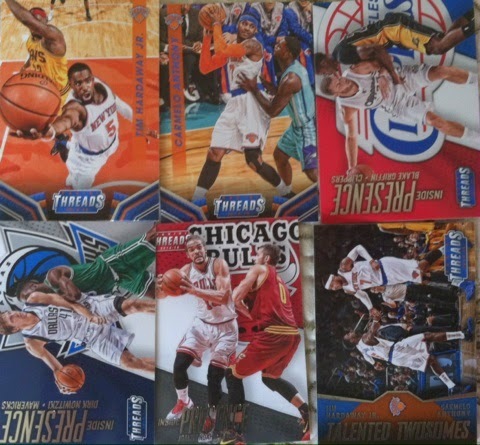 And now the cards of a few Chumps...Sorry NYK. Someday you will come back relevance. I keep saying bring back Jeff Van Gundy. You just need to listen! Some more great PC pieces but lots more ahead. 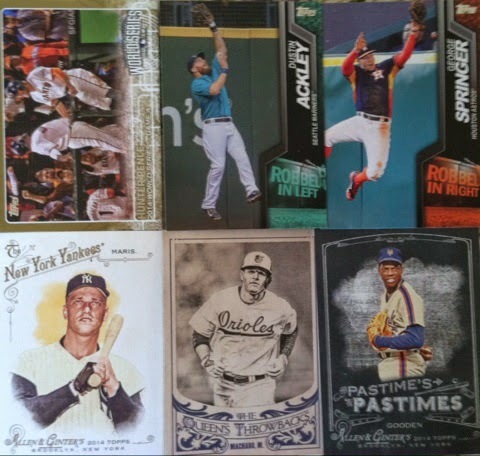 Tomorrow's post focuses on baseball inserts. 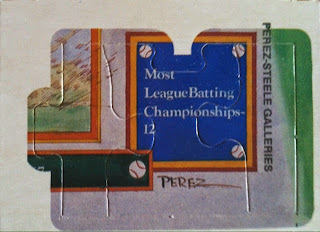 If you are a baseball card collector, I strongly recommend you stay tuned to see that gallery. A Jammin Mail Day Part 2 of 2: The Griffeys! Panini Redemption Replacement Mail Day..#d 4/5!! 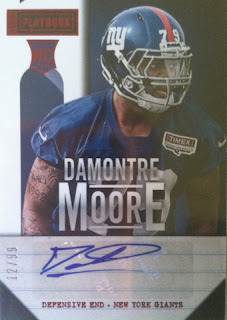 Autograph Pickups...Real Or Fake? Some HOFers!